La Casa de la Rosa Rosa- Boutique Villas Xichu San Miguel de Allende, Hotel Mexico. Limited Time Offer! La Casa de la Rosa Rosa- Boutique Villas Xichu. "La Casa de la Rosa Rosa- Boutique Villas Xichu" has received 5 stars. 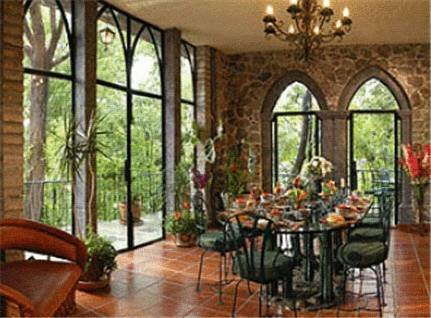 It is a perfect place to stay when exploring San Miguel de Allende. For guests who appreciate taking part in sports, this accommodation offers some options, like yoga and tai chi. Visit the jacuzzi to restore your strength. Treat yourself to, for example, a relaxing massage treatment. Business people will appreciate the free Internet access. Guests can enjoy spectacular views over San Miguel de Allende from Casa Frida’s rooftop terrace, or relax in the garden of this colonial style mansion, just 6 blocks from the city’s historic centre.